When thinking of pro bono work in the context of architecture, design, and engineering, seal and sea-lion rescue may not come to mind as readily as, say, a Habitat for Humanity home in Chicago. 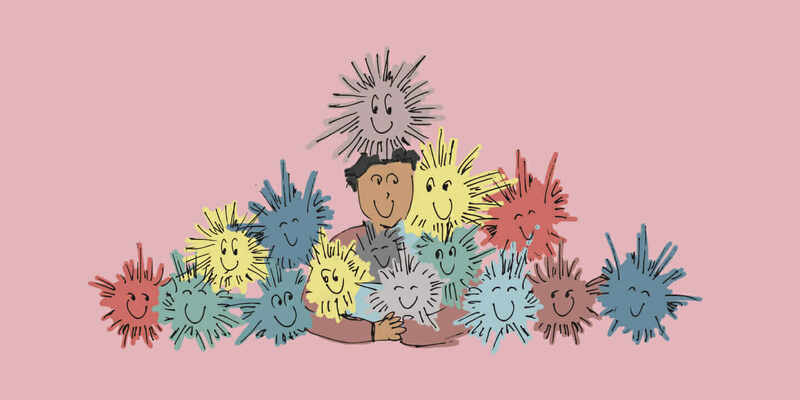 But that perception may be changing, thanks, in part, to skills-based volunteering opportunities through organizations such as the Taproot Foundation, Public Architecture, and Journeyman International. The Taproot Foundation. Taproot Foundation advises companies on how to design high-quality opportunities for pro bono engagement. In June 2015, the Autodesk Foundation helped a team of pro bono volunteers coordinate a partnership with The Marine Mammal Center, leveraging the employees’ engineering and additive manufacturing skills. The objective? To create a 3D-printed tranquilizer dart with a built-in transmitter device that would ensure seals and sea lions—fleeing perceived danger—are tagged and captured safely. Like many employee-engagement programs supported by the Taproot Foundation, the project is a win-win: bringing together a worthy organization and private-sector professionals seeking philanthropic outlets, with the added incentive of finding challenging and innovative ways to further their careers. 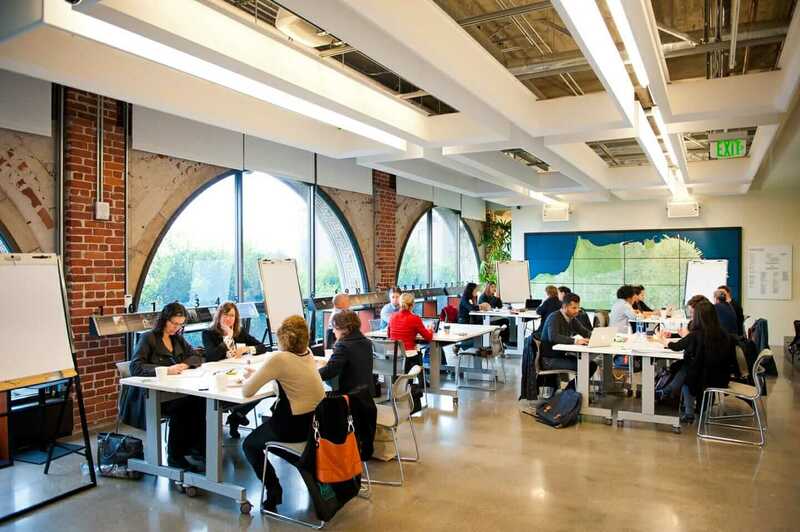 A Taproot Foundation program hosted at Autodesk in San Francisco. Courtesy Taproot. A good place to start, he says, is Taproot+, an online platform that connects professionals and nonprofits for four- to six-week projects. For instance, the Village Improvement Project, known for its work supplying solar lights in rural Liberia, recently advertised for a pro bono designer or engineer to help manufacture a prototype for a fuel-efficient, wood-burning stove. Or the Business Council for Peace, which, as part of a new project in Guatemala, sought a product designer to create a lean-technology platform to capture and package orientation and training content for its business volunteers. In less than two years, Taproot+ has delivered more than $3.5 million in service and more than 500 projects. Public Architecture’s 1+. Another outlet for designers interested in pro bono opportunities is 1+, Public Architecture’s flagship program, which challenges the design community worldwide to dedicate one percent or more of their working hours to pro bono service. The program’s nationwide platform connects designers and design firms with nonprofits that have unmet design needs. In a little more than 10 years of existence, 1+ has signed on 18,000 designers and supported 1,000 nonprofits. “There’s a really neat opportunity for traditional architecture firms to match with firms that bring a more technical approach to the projects,” says program director Amy Ress. 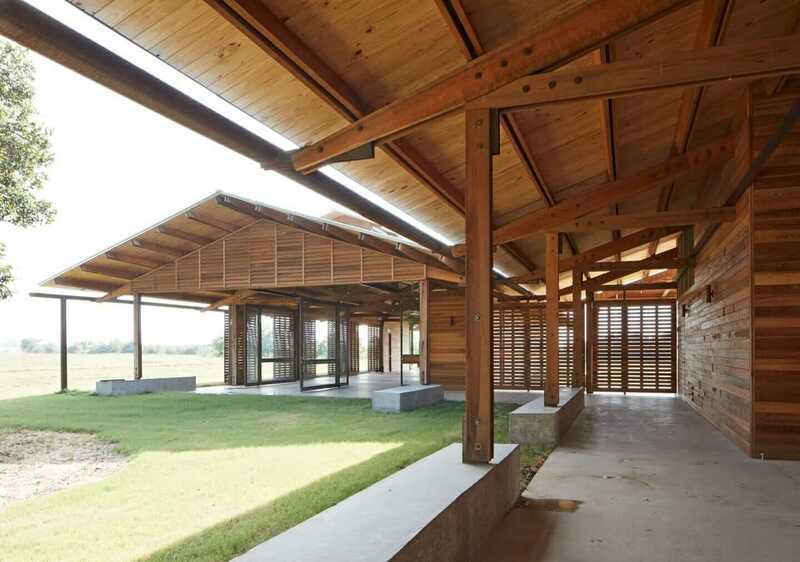 With aspirations to be the first Living Building project in Texas, this 5,400-square-foot open-air pavilion designed by Lake|Flato is an education and meeting center that serves as a demonstration site for the Dixon Water Foundation. Courtesy 1+/Casey Dunn. She points to a recent pro bono project in which Mack Scogin Merrill Elam (MSME) Architects designed a house for Habitat for Humanity in Pascagoula, Mississippi, an area severely affected by Hurricane Katrina. MSME Architects completed drawings for the casework and collaborated with the manufacturer, Formica, who donated, constructed, and installed all of the custom cabinets, countertops, and kitchen-shelving units. And many volunteer projects do not require an extensive time commitment. “Pro bono projects can be small, like revising a floor plan. One percent annually is 20 hours—based on a 40-hour work week. You can make a big impact by donating just 20 hours of service,” Ress says. Journeyman International. For Daniel Wiens, president and founder of Journeyman International (JI)—a California-based nonprofit that connects university students and volunteer architects, engineers, and project managers with global humanitarian projects—the appeal of pro bono work is especially powerful among architects. While volunteers may enjoy international travel opportunities, and architecture and design firms may use pro bono work as a recruitment and public-relations tool, the primary reason people volunteer, he says, is a desire to do good in the world. 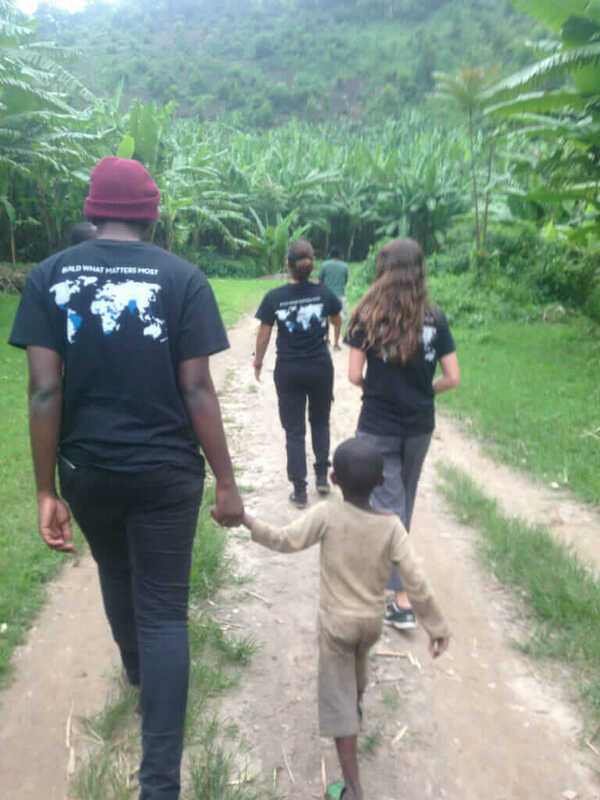 California Polytechnic State University College of Architecture and Environmental Design students and Journeyman International designers Oretola Thomas, Vicky Arias, and Courtney Wedel exploring a potential project site in Rubagabaga, Rwanda. LSW Architects in Vancouver, Washington plans to undertake both options this year, working as an office on a project in South Africa and assigning a staff team to mentor a student design team. Organizations such as Taproot, Public Architecture, and Journeyman International serve as a kind of informed, socially enlightened connective tissue, matching individuals or firms with nonprofit affiliates and providing the training and strategic advisory services to make the partnerships successful.